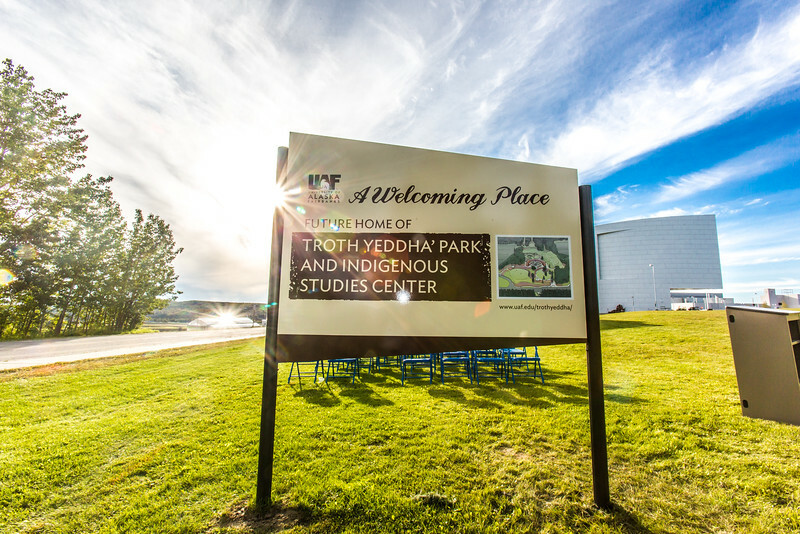 A new sign marking the new home of Troth Yeddha' Park was unveiled during a ceremony Sept. 4. The site, located between the University of Alaska Museum of the North and the Reichardt Building, has long been recognized as an important meeting place by the area's original inhabitants. Fundraising is underway for for eventual construction of an indigenous studies center at the site.